← Superior Scaffold uses unique earth anchors to hold canopy in place. 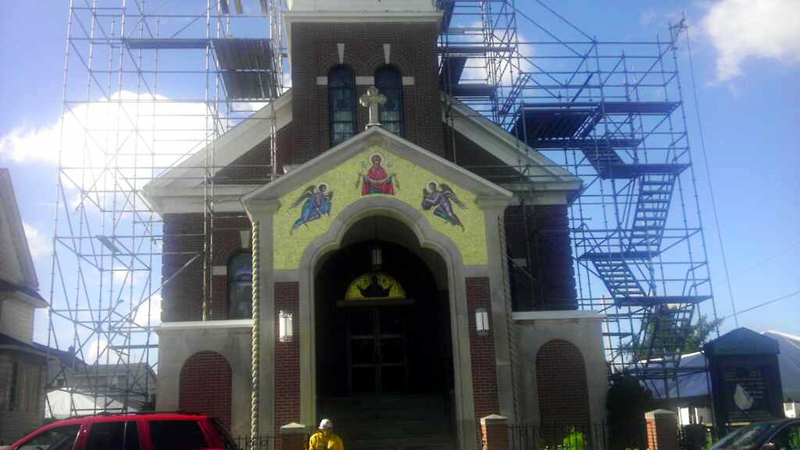 When St. Mary’s Ukranian Church in Mcadoo, PA needed a scaffolding company to erect scaffold for painters to restore the exterior luster of their beloved church – they turned to Superior Scaffold. 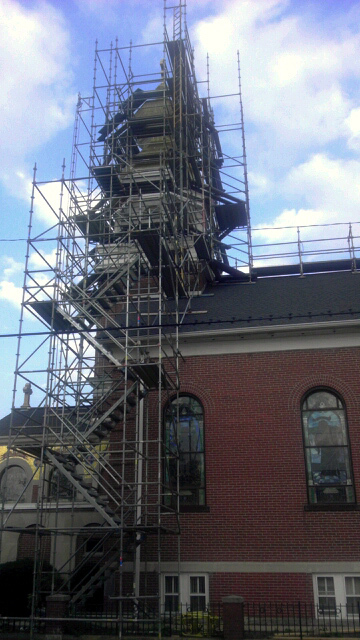 Our experience with historic buildings, churches and structures has made us the tri-state leader in the scaffolding industry. 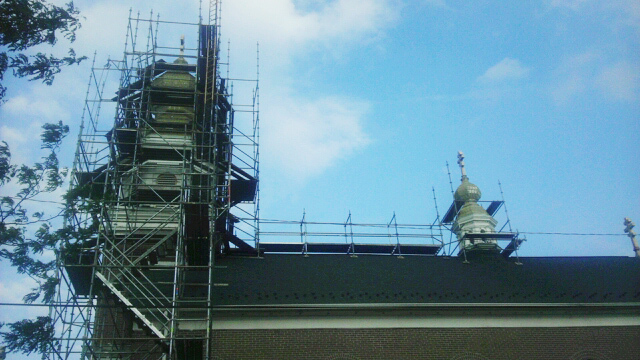 The contractor wanted a stair tower to access the scaffold and a nice sized storage deck. And to eliminate ascending the scaffolding from the ground each time, Superior constructed a special walkway across the roof. You will see the photos below but I think this Youtube video gives the best visual description. At the front of the video you will see the newly painted surfaces. 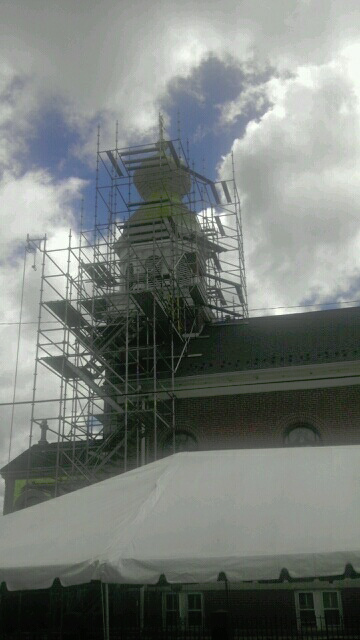 Also, about halfway through you will see the scaffold going up and the freshly painted gold domes. It’s quite impressive looking. 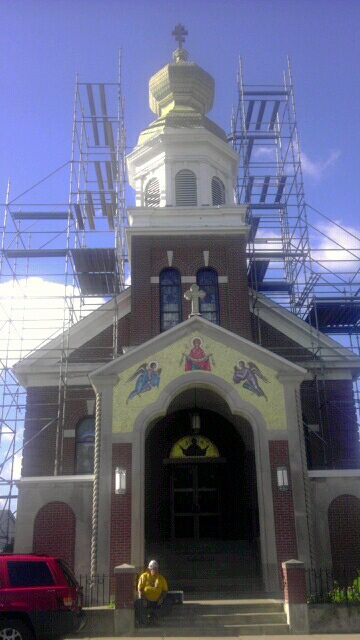 Posted on September 20, 2012, in News & Updates, System and tagged 215 743-2200, 24 hour emergency Service, architecture, arts, church, DE, facebook, inspection, mcadoo pa, MD, mother, Mother Mary, Mother of God, NJ, NYC, Press, Repair, scaffold, scaffold rental PA, scaffolding, scaffolding rental PA, school, Service, shoring, story, superiorscaffold.com, Suspended, twitter, ukranian church, youtube. Bookmark the permalink. Leave a comment.